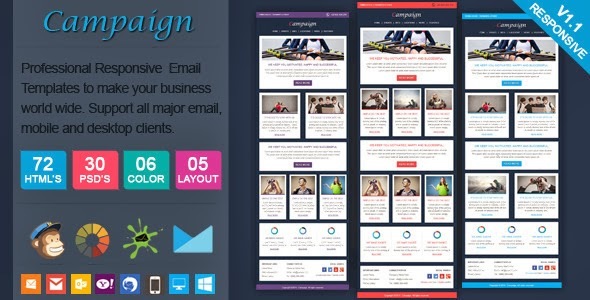 Campaign is a Professional Responsive Email Template. • 30 files for general uses. • 06 files for mail-chimp uses (all module included). Item Reviewed: New Professional Responsive Email Template 9 out of 10 based on 10 ratings. 9 user reviews.